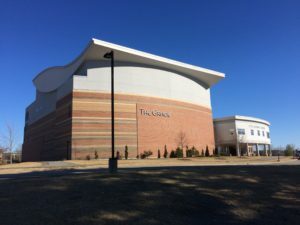 Husson University Theatre (HUT) will be presenting their rendition of “The Somewhat True Tale of Robin Hood” from May 1st to the 3rd at the Gracie Theater. This take on the old tale reimagines Robin Hood and his merry men as self indulgent, unproductive versions of themselves. This play, written by Mary Lynn Dobson, has has been performed in every state in the United States as well as had showcases world wide. Monkman plays the main character in this somewhat true tale. Using the “ridiculous stuff,” the show pulls the audience in wondering what is going to happen next. “The Somewhat True Tale of Robin Hood” takes the audience and throws it into the middle of the telling. Robin Hood talks to the audience and interacts with them by breaking the 4th wall, the imaginary wall separating actors from the audience. Using a conversational setting makes it easier for the audience to be engaged. “If you make it a hyper-realistic set…it makes it much more difficult to talk to the audience,” said Monkman. 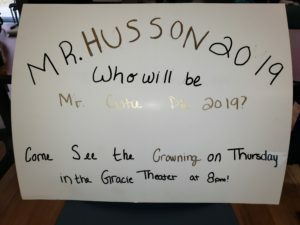 Preparing for this performance is going to take work but the talent involved is planning on making the viewing worth the trip to the Husson campus. If any student wants to participate in HUT, the group can be reached through Facebook on their Husson University Theatre page. You can also send them an email at husson.university.theatre@gmail.com. For particular questions about the upcoming show or how to contribute, an email can be sent to Monkman at monkmana@husson.edu.